Most importantly, the team will also include the student (depending on their age) and their parents. This means that you will need to be prepared to communicate and collaborate in a way that fits such a broad audience. I remember how intimidating it can be at first to dive into this work. So, I decided to write a few pointers for the Time2Track community to use as they begin the exciting journey of school-based mental health. Enjoy! 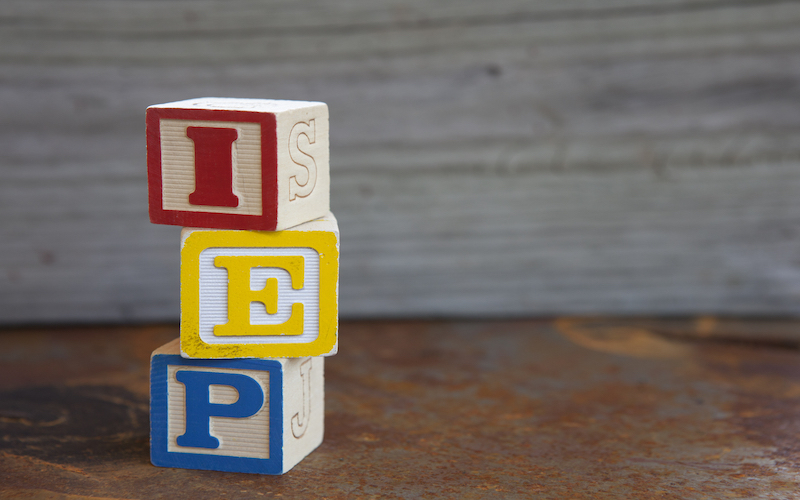 First and foremost, keep in mind that the IEP is a team process, and you are part of that team. You need to understand your role on the team, as well as in the broader system, to do your part effectively. Who do you represent to the system? Think about your role within the school district at large. 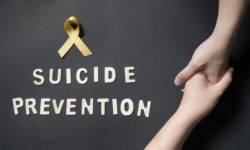 Are you the primary provider of mental health services? Do you work as part of a team of other special education professionals? The answer to this question will help you understand and meet the expectations of the system. Who do you represent in the meeting? Think about how you are seen by the other meeting attendees. Are you the student/intern? Are you the sole expert on mental health? Are you the conveyor of good or bad news? The answer to this question will affect how the group receives your input. Who do you report back to? Consider who oversees your work, and how you represent an extension of their professional capacity. Your supervisor is placing a great deal of trust in you and your work – do not take that lightly! Part One: What tasks are you responsible for before the meeting? IEP meetings can be tricky to organize and schedule, so you want to make sure you are fully prepared with all necessary boxes checked before the meeting begins. *Remember that IEP meetings can sometimes be overwhelming for parents and school staff. By providing the draft in advance, you can help ease some of the stress and anticipation. Readers can also sometimes provide you with helpful clarification before the meeting starts, thus preventing any miscommunication. Additionally, in most states, parents are entitled to the assessment results prior to the meeting. This provides a chance for the student and family to come prepared to the meeting with questions for the team. Check with your supervisor to see who should receive a copy in advance! Part Two: What are you in charge of communicating during the meeting? Know what you need to talk about when the meeting begins and prepare for your time in the spotlight. You may be discussing the results of the assessment, providing diagnostic impressions, giving recommendations, and/or collaborating with the team on designing the IEP. Make sure to check in with the IEP lead (which is often a case coordinator or the school psychologist) to learn how much time you will have to speak and when you are cued to present the results. Ask your supervisor, as well as whomever is leading the IEP meeting, about what you will need to cover. Be prepared to say what you have to say in the meeting in plain English – not testing jargon. For example, an IEP and a 504 are not the same thing. Similarly, accommodations are different from modifications. Try reading up on your state’s requirements for special education planning to get a better understanding of what the team is talking about. 2. Imagine that the parent is your best friend. And they are asking you about how their child is doing. Step out of your psychologist-in-training head and step into the mind of the parent, what they will want to know, and how this data is significant to them. This can help you report the data through an empathic lens and explain what the data is saying in straightforward, parent-friendly language. Share the good news of what the results mean. The student is likely developing very well in certain areas, and you will want to make sure to point that out. They may be personable, charming, funny, or motivated – and few of those things would show up in testing. 4. Highlight areas of growth. Avoid describing issues as “weaknesses” or “deficits.” Talk about lower areas of functioning as areas needing improvement and support, and how the family can be working with the team to get their child the support they need. Err on the side of over-preparation but try not to fully form your opinion before the meeting. You may think you have all the data because you or your supervisor tested and interviewed the parents, teacher, cousins, child, grandmother, and so forth; however, new information is often shared during the meeting that can shift the plan of care. Remember that IEP meetings are working meetings, which makes it a space for parents and professionals to jointly decide the outcome. This might feel like a small detail, but it is actually very important. You might want to sit next to your supervisor, right? It feels safe and comfortable. However, if your supervisor does not indicate a preference, the best spot in the room or around the table is next to or near the parents. This will help you take on some of their perspective (quite literally), as well as help the parents feel like you are on their side (again, literally). Keep in mind that the parent is the expert on their child, and you should be close to that informant. I have learned in my many years as a child psychologist that parents have a good sense of what their kids need. However, parents do not know how to put it in clinical terms or connect it to eligibility and academic planning and programming. Teaching is a seriously difficult (and underpaid) job. Unless you have served in the classroom with a wide range of diverse student learners, you may not understand the struggle – so do not pretend to! Seek opportunities to listen to what teachers are doing and commend them for their work. Try to point out how the efforts from teachers, special education staff, and parents have helped the student, and how your observations/testing results demonstrate that. Silence your phone and stay off texts and email. Unless you are responsible for acting as timekeeper, you might also want to avoid making glances at the clock. Avoid talking over or interrupting other meeting participants. You are there to provide helpful feedback and recommendations, but you are also there to listen and learn. Do you have other tips or suggestions for navigating an IEP meeting with ease? Share them with the Time2Track community in the comments below! Marta M. Shinn, PhD, is the founder of Variations Psychology, a private practice mental health clinic in California that offers testing and therapy services to children, adolescents, and their families. Dr. Shinn specializes in child and educational psychology, and she is passionate about teaching and mentoring the next generation of mental health professionals in her field. To learn more about Dr. Shinn, check out her bio!